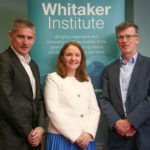 Despite difficulties associated with water valuation, there has been a strong desire nationally and internationally to value water and its characteristics as reflected by a growing number of nonmarket studies that have attempted to put a monetary value on the environmental, health and/or recreational benefits associated with water. These studies ranged from exploring preferences for specific features of particular water bodies to studies that explored preferences for wide scale changes to different water bodies. The multi-attribute nature of water is reflected in the changing and growing emphasis of legislation. An examination of water policy through previous water directives, including the Nitrates Directive and the Bathing Water Quality Directive, demonstrates how it has evolved from the emphasis on public health protection to environmental protection and finally, as formed today, to the notion of ‘sustainable use’ of water and an integrating ecosystem-based approach to water management. Although in the past EU legislation on water was focused on specific environmental problems related to water quality as far as for example drinking, bathing or freshwater fishing activities are concerned, emphasis is now placed on the improvement of the ecological quality of water and its eco-system functions, by using a broader, more integrated approach. Choice experiment (CE) methodology has particular advantages over other types of non-market valuation techniques for estimation of the full range of benefits of water to society and provides a rich array of information. The CE proposed in this project shall enable those responsible for setting policy in the area to prioritise funding for features that are most highly valued among the general population of Ireland. In this regard, the CE shall help shape policy so that decisions that are made to manage water assets in Ireland can reflect the preferences of the Irish public.